Visit Mercia Solutions at Security & Policing 2019, where you will be able to try the new MediaStation Express. Securely access, and archive data from flash cards and USB drives while automatically producing a PDF report complete with user added metadata. The MediaStation solution provides a complete force-wide solution and is in use in UK police forces. Mercia Solutions specialise in long term archiving and storage of evidential and compliance data we are partners for the Sony Optical Disc Archive, PoINT Software and Systems, and SCC Software. Sony ODA technology stores 3.3Tb on a single cartridge and can retain Petabytes of data in libraries for years. PoINT software allows for the automatic migration and management of data. The software-based approach combines existing storage investments with new storage technologies enabling you to build your hybrid storage solution. SCC develop digital asset management software for critical image and video workflows and indexing. The MediaStation Express is the complete solution for ingesting evidential flash memory and USB memory sticks. In seconds the data on a card can be safely accessed on a standard computer using the direct pass-through function, while at the same time the card is being forensically processed. The high-speed solution eliminates the bottleneck of the previous generation of copiers and realises the potential of the latest flash memory, transferring data at up to 640MBs over 20 times that of a first generation CopyStation that was limited to just 26Mbs. There is no waiting for hours to produce a 20-year-old optical disc that current computers are no longer equipped to read. 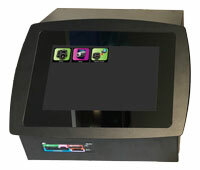 Replacing the traditional method of creating CDs and DVDs the MediaStation express is the 4th generation of forensic photographic copiers and automatically stores a verified forensic copy of the memory and while doing so provides instant access to the data. The forensic copy of the flash memory can be sent to the cloud, a private network or written locally to Sony ODA media. Simply enter a description, and identification details while your data is verified and forensically ingested. The MediaStation Express sends a digitally sealed master copy to an encrypted storage system, while locally allowing you access to a working copy of the data via the optional direct connection to a computer. Data at rest is encrypted. High speed over 20 times faster.